Fun is contagious in preschool dance classes at Twirl. Imaginations soar as Twirl Junior preschoolers* tap, move, dance, and have a ball in what’s sure to be their favorite hour of the week! *Students in 2019-2020 preschool classes must be at least three years of age by September 7, 2019. More than a dance studio, Twirl is a dance family! My boys love dancing here. Preview classes are $15 per student per class. Twirl Junior Preschool Preview Dance classes are open to students ages 3-5. Each week, Twirl Junior classes are divided into three parts. 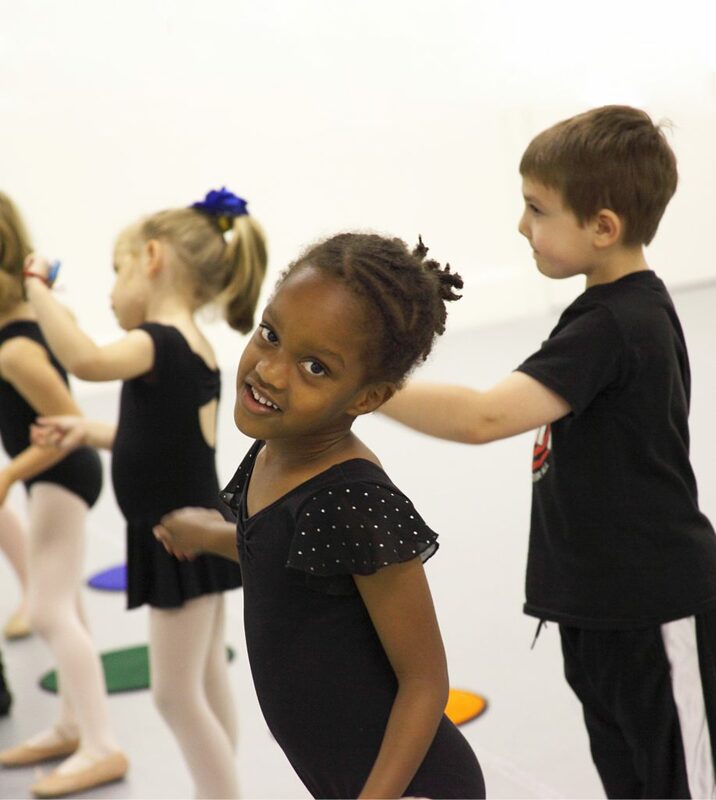 Students begin with tap dancing, move on to acrobatics, and then transition to dance basics. At the end of class our preschool friends put on fairy wings and superhero capes as they run and jump and learn to fly. Girls- Black leotard with pink tights, pink ballet shoes, black Mary Jane tap shoes. Black leotards with small skirts are okay, but tutus and elaborate skirts are not allowed. Boys- Black Twirl T-shirt, black athletic shorts or sweat pants, black tap shoes, black slip-on jazz shoes.